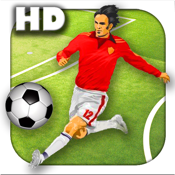 Realistic 3D football/Soccer action, Pass, Shoot Score, Win!!! Football comes to life in 3D and you have full control. With 3 difficulty levels, you can practice until you can beat the most difficult opponent!